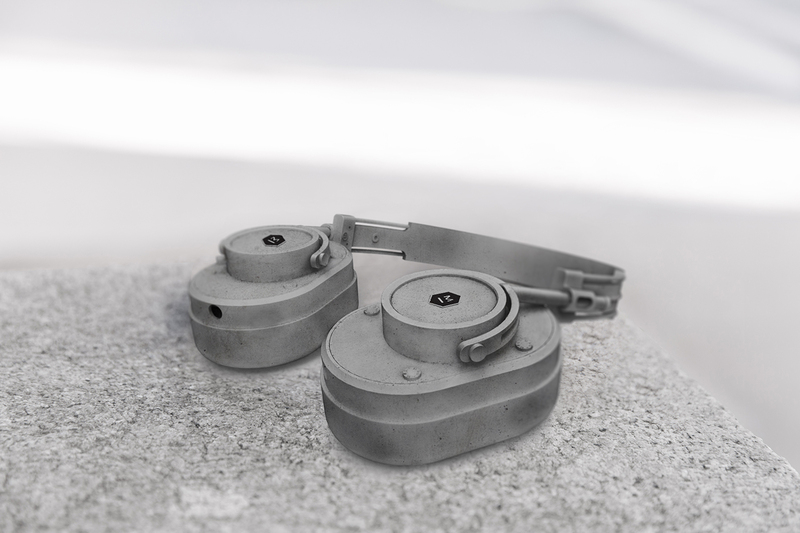 We’re excited to announce a new edition of our signature MH40 Over-Ear Headphones, made of solid concrete: the MH40C1. Master & Dynamic is known for its use of premium materials. From headphones made of forged aluminum and heavy grain leathers to brass earphones, we’ve stayed on the cutting edge when making our premium sound tools. Today, we’ve upped the ante. In keeping with our commitment to creativity, our team of dedicated engineers focused on a quality long since valued by our loyal customers: heft. Weighing in at 10.6 pounds, the MH40C1 is a marvel of ingenuity, producing the same high-end sound quality as its metal and leather counterpart, its smooth finish ensuring a superior level of comfort that allows for hours of continuous use. “Master & Dynamic has consistently chosen the road less traveled. As of today, that road is paved with concrete,” said our founder and CEO Jonathan Levine. Our concrete MH40 Wireless On-Ear Headphones are available now at www.masterdynamic.com for $399.